March 18, 2019 -- The Environmental Protection Agency (EPA) says it will issue a rule that bans the sale of methylene chloride to consumers but allows for its continued use in commercial products. "I am clearly disappointed that the EPA has decided to weaken the ban as it was originally proposed,” Hartley says. “Methylene chloride has been recognized as fatal, and there are safer options available that will ensure that no other families will have to go through what we have. The EPA has a chance to protect American workers, and I am committed to continuing moving forward until all workers are protected from exposure to toxic chemicals like methylene chloride." Lindsay McCormick, project manager, chemicals and health, Environmental Defense Fund, Washington, DC. Wendy Hartley, mother of Kevin Hartley, Nashville, TN. 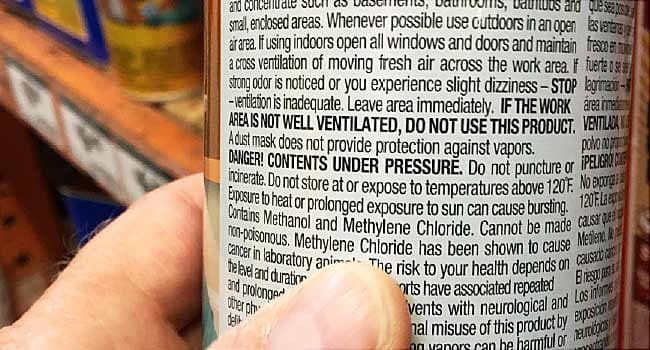 Environmental Protection Agency: “EPA Bans Consumer Sales of Methylene Chloride Pain Removers, Protecting Public." Safer Chemicals, Healthy Families: “Walmart Joins Other Retailers with Ban on Deadly Paint Removers,” "U.S. Deaths from Methylene Chloride Exposure."